Greece's moment of truth has come. After years of living on borrowed money and paying the price with savage austerity, Greeks are voting Sunday for more of the same (more or less) or for a rupture with Europe that could spell disaster. Voters are being asked to give their verdict on a draft financial rescue the Greek government has rejected, and Europe has allowed to lapse. But the referendum is about much more than that. Prime Minister Alexis Tsipras is urging Greeks to vote "no" to strengthen his hand in talks with creditors. He wants a bigger bailout with less painful terms, and a chunk of debt canceled. European leaders say a "no" vote would destroy the basis for talks, and put Greece on a fast-track out of the euro. The damage tothe country would be huge. A "yes" vote, however, could allow negotiations to resume, but Europe and the International Monetary Fund may demand even tougher conditions for more cash. It's an awful choice, and one that has split Greece down the middle. Opinion polls suggest the result of the referendum -- due after 2 pm ET Sunday -- is too close to call. Exhausted by years of cuts to wages and pensions, many Greeks say they've had enough. They would rather reclaim control by leaving the eurozone and returning to the drachma. Banks have been shut all week, and ATM withdrawals are limited to 60 euros a day. In practice, a shortage of 20 euro notes means some people are only able to get their hands on 50 euros. 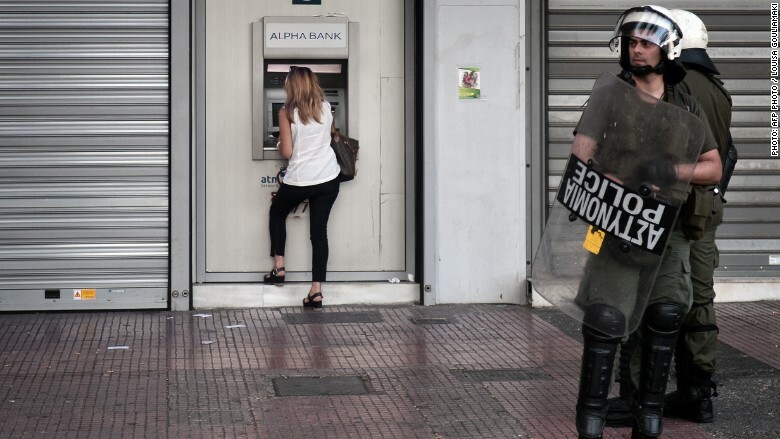 Riot police stand guard near an ATM in Athens. 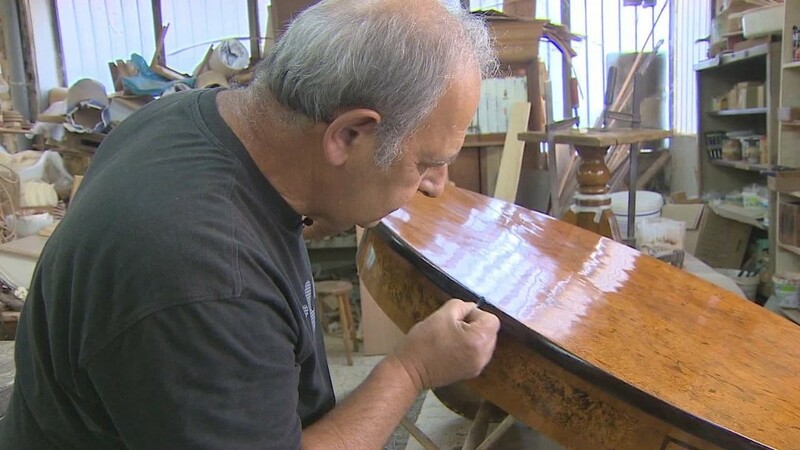 The banks won't be able to reopen Tuesday as scheduled unless the European Central Bank resumes emergency lending -- unthinkable without an unequivocal commitment from the Greek government to reform. Dr. Theo Giannaros, head of the Elpis hospital in Athens, told CNN supplies of medicines and basic foodstuffs were running low. Sunday's vote is being watched closely around the world. So far, markets have taken the escalating crisis in their stride but if Greece looks to be crashing out of the euro, they'll be in uncharted waters. -- Isa Soares and Zahra Ullah in Athens, and Ivana Kottasova in London, contributed to this article.